Wilson, a senior at Wesleyan, realized that too many students in his hometown of Kennesaw, Georgia, were falling through the cracks. So as a firm believer in the power of peer mentorship, Wilson formed Dream Chasers while still in high school. The nonprofit creates student-led mentorship programs in underprivileged communities, with a focus on addressing educational issues early in life. 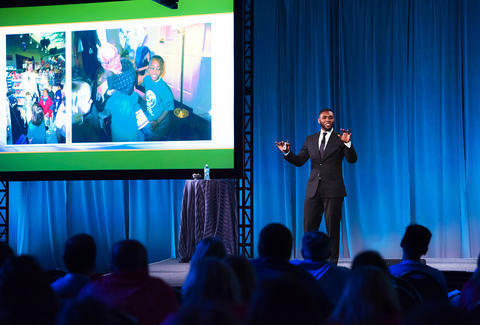 Wilson has continued running the nonprofit while at Wesleyan, during which time Dream Chasers has grown in scope. Since mentoring a few dozen pupils in the early days, the program has now helped more than 5,000 young people; and in 2016 it launched the S.H.I.P. (School Help Is Possible) app, connecting students to more than $1.3 million in scholarship funding. Dorm-room dining is usually dominated by microwavable mac & cheese and instant ramen noodles, but Cole and Deutsch, sophomores at Boston University, decided to make a serious upgrade to their meal plan. 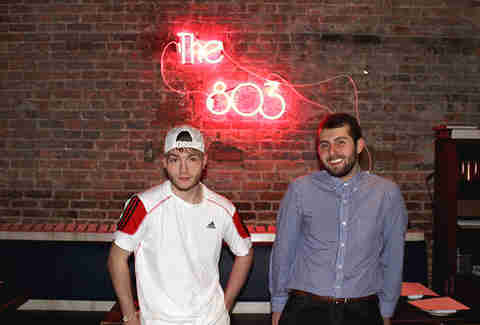 As freshmen, the two used their dorm room to start a pint-sized omakase, The 803 (named after their room number), serving 10 courses of nigiri to a few dozen customers once or twice a week. Even though they had to ditch their dorm-room digs for the summer, Cole and Deutsch didn’t completely close up shop. For three nights in August, the native New Yorkers teamed up with veteran chef Pecko Zantilaveevan to run a pop-up lunch and dinner service at the Clancey on the Lower East Side. If they can create mouth-watering dishes with a desk and a Crock-Pot, just imagine what they’ll be able to do with a full-time kitchen someday. Two months into his freshman year in 2015, Matt Nelson started a Twitter account, thinking he’d use it to make jokes in between classes, and maybe get a few Likes along the way. Realizing that his tweets with dogs got way more action than those without, Nelson came up with the idea to rate dogs on Twitter. In true millennial fashion, he posted a Twitter poll to his personal account to see what others thought of the idea -- and people, as he says: “lost their s--t.” The first doggo rate got more than 500 retweets and 2,500 likes, and the viral meme account We Rate Dogs was born. Within 17 months, We Rate Dogs had 2 million followers (that’s now grown to 3.3 million); it’s expanded to a mobile phone game and online store, and Nelson, now a junior at Campbell, even has a book coming out in October. Plus, he’s credited with helping bring “DoggoLingo” into the mainstream. And it all happened before the kid earned his degree. 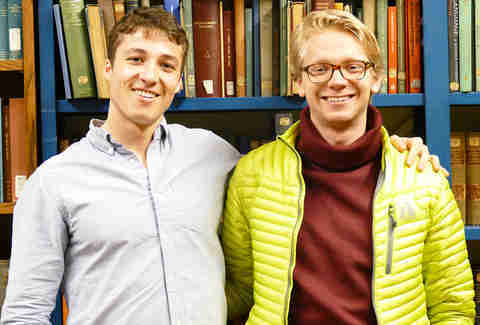 The goal of Fair Opportunity Project, founded by Harvard seniors Luke Heine and Cole Scanlon, sounds pretty simple: Help every student get a shot at higher education. The problem? Information about admissions and financial aid wasn’t standardized across universities, leaving college counselors stuck sifting through dozens of different policies, with students forced to either pony up for expensive consultants or roll the dice. So Heine and Scanlon built an easily digestible and shareable information packet that would help students get as much assistance getting into -- and paying for -- college as possible, regardless of ZIP code or family income. (The guide is also available in Spanish.) It’s already changing the college-application process: Their guide is now available in every public high school in America (and online), for free. Wellman, a junior at Hampton University, constantly got asked how she did her hair. So she did what any smart strategic communications major would do -- started a YouTube channel under the name Nia Imani to offer tutorials on styling natural African-American hair. Nearly 100,000 followers later, Wellman has parlayed her expertise into a burgeoning personal brand where she relays beauty and fashion tips, reviews products, and preaches the gospel of #blackgirlmagic to her loyal fans. And it’s profitable, to boot. Wellman reportedly makes up to $1,000 per month from the channel, enough to stand out in the crowded field of beauty vloggers -- and tee her up to make YouTube a full-time job when she graduates. Subsistence farmers are often faced with the harsh reality of their hard-won crops spoiling simply because they don’t have the means to store food for long periods of time. The cost of that food waste on rural farmers can be massive, which is why Iowa State senior Ella Gehrke, along with classmates Mikayla Sullivan (’17), Elise Kendall (’16), and Clayton Mooney (’12), decided to do something about it by starting KinoSol in 2014. The company’s flagship product is Orenda, a durable, affordable, solar-powered dehydrator that extends the shelf life of perishable food (fruit, vegetables, grains, insects) by weeks. And since Orenda doesn’t require any electricity to work, it gives those without access to modern utilities an equal opportunity to keep their crops fresher for longer. The list of accolades for this duo -- better known as the exceptional neo-soul act OSHUN -- would be impressive for any music group: They’ve opened for superstars like Future and Talib Kweli; been featured in Rolling Stone and Fader; and played at SXSW, the Kennedy Center, and NYC’s AfroPunk festival. And, oh yeah, the NYU seniors are still turning in term papers. Judging by the amount of buzz Scott-Murray and Young are generating from their dorm rooms, you’re bound to be hearing more from these soul sisters. They completed a sold-out tour in Brazil this summer, and already have dates lined up in New York, Houston, and Atlanta this fall. 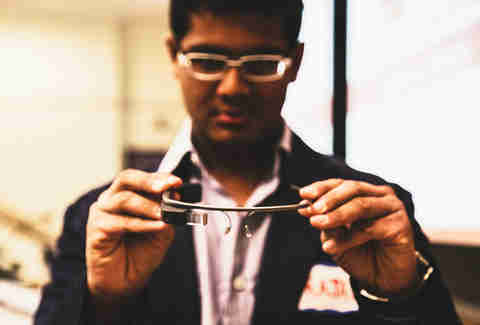 Talk about setting the bar high -- these three UPenn engineers set out not to disrupt an industry, but to help solve blindness. During a freshman-year hackathon in 2014, the trio realized that the burgeoning fields of machine learning and computer vision had vast implications for the visually impaired, which led them to develop ThirdEye, an application that uses your smartphone camera to identify objects and dictate what they are. After winning the Wharton Business Plan Competition and presenting at CES, the company was acquired by TheBlindGuide in February for an undisclosed sum. Though the trio, now seniors, are no longer involved in the day-to-day business, Bhageria went on to found Prototype Capital, a venture capital fund devoted to investing in student-run startups. Christie Rotondo contributed to this article.